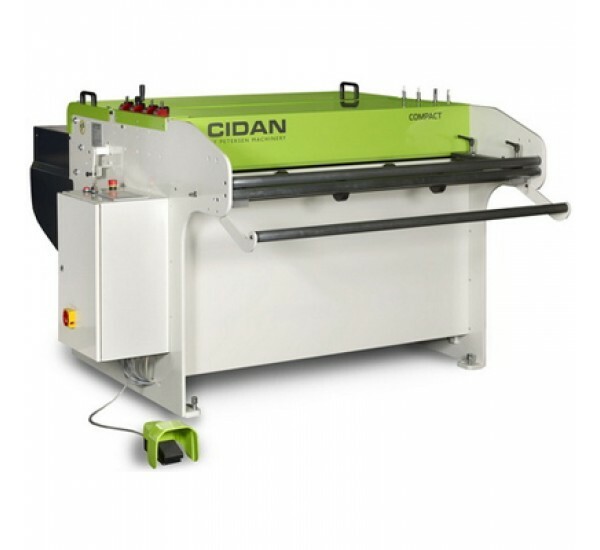 CIDAN cut to length line COMPACT is a fully automatic line with a compact construction. The model comes in two different configurations according to different customer demands, for coil widths 1250 mm (49") and 1550 mm (61"). No other manufacturer can beat the quality and accuracy of the cut and slit pieces in a line of this size. With CIDAN model COMPACT productivity can be drastically increased by programming different lengths and pieces. The use of material will be optimized with much less scrap. - COMPACT has a straightening unit with 5 rolls and the cut to length is done by a motorized mechanical shear. - Our LineLink CNC control with color touch screen gives you the possibility to store many programs as well as a library of coils. - The COMPACT is prepared and can be fitted with a slitting unit and multiple slitting blades. - COMPACT will handle pre-painted sheets and other sensitive materials. It also minimizes schratches and marks on the surface. - As standard, the line is operated from the left side, but can be supplied in "right side operation" in order to satisfy the individual space requirements.